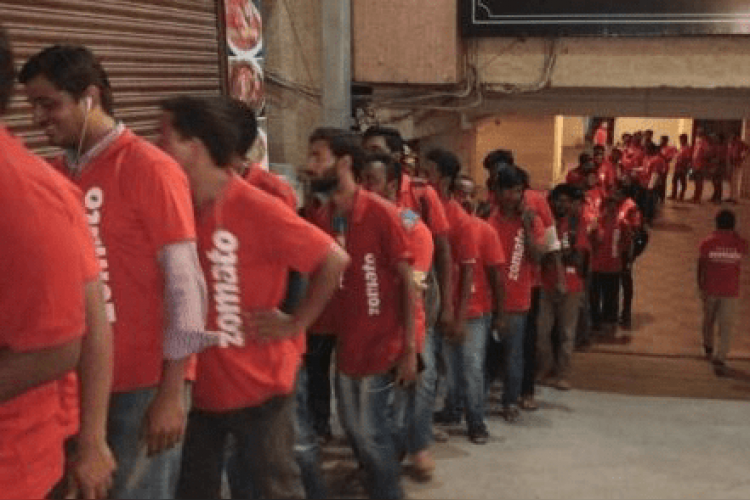 Zomato India shared a photo on Twitter which shows a queue of its delivery boys waiting outside a biryani shop called Bawarchi in Hyderabad. It is one of the state's most famous outlet and receives nearly 2000 orders in a day alone from Zomato, the food delivering app mentioned in its annual report. The report also mentioned that chicken biryani is the most searched dish on its app in Madurai.